There are now over 30,000 medical studies on the health benefits of dark chocolate. It is clear that chocolate is finally getting it’s due. According to Norman Hollenberg, PHD, MD Harvard University “If these observations (regarding cocoa epicatechin) predict the future, then we can say without blushing that they are among the most important observations in the history of medicine… Epicatechin could potentially get rid of 4 of the 5 most common diseases in the western world. How important does that make epicatechin? 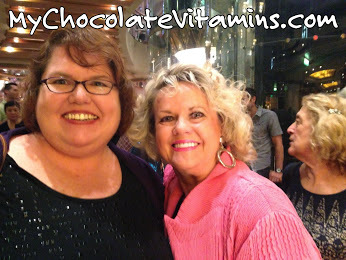 I would say very important.” The word is out, chocolate is good for you. pressed healthy chocolate a day can provide the flavonoids you need. Just three pieces of Beyond healthy chocolate a day can provide 1000 mg of flavonols which are important antioxidants. Here is my picture with Jeanette Brooks, the one responsible for bringing healthy chocolate to the world. Cocoa is a mixture of flavonols, vitamins, minerals, theobromine, tryptophan and bioactive nutrients which maximize health and prevent disease and illness. Be sure to let the Beyond chocolate melt in your mouth in order to absorb it quickly. I also recommend drinking a glass of water afterwards as the chocolate can make you thirsty and it is a great way to increase your water intake. If you are dieting in 2015 like I am, it is important to substitute Beyond healthy chocolate for junk food and the other white foods like sugar, white flour and white rice to improve your nutrition. 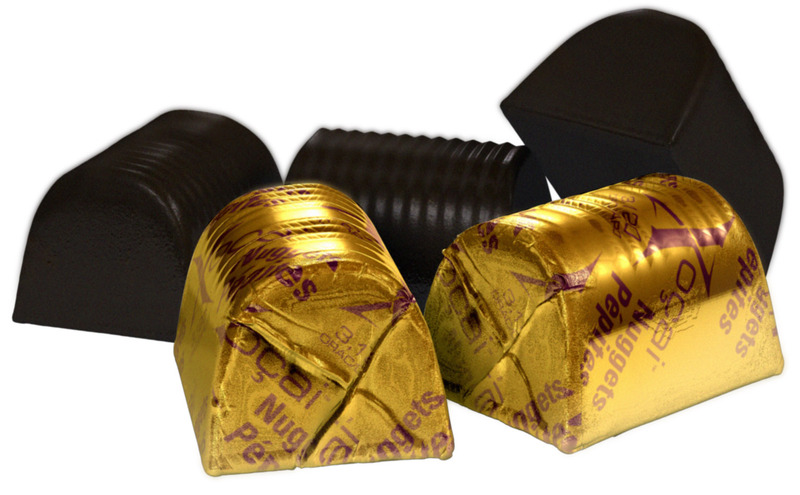 When you have a craving for unhealthy carbohydrates, let one Beyond healthy chocolate power square or nugget melt in your mouth. This will quickly curb your craving! Is there a limit to how many pieces of Beyond healthy chocolate you should eat per day? No, you can eat as many as you would like. One Beyond power square is just 33 calories and chock full of antioxidants. Eating more than three pieces of Beyond healthy chocolate is excellent for your health. In fact, you will find out that after a few days you will prefer 3-5 a day but there is no reason to limit yourself. For long term benefits, you will want to eat a minimum of three pieces a day. Simple changes in 2015 can improve your health. Make you and your family the priority. Order your healthy chocolates at MyChocolateVitamins.com. You can also call us at 941-216-5727. Sign up for home delivery and receive free shipping and a free product every third month for the first year!! No coupon code needed.